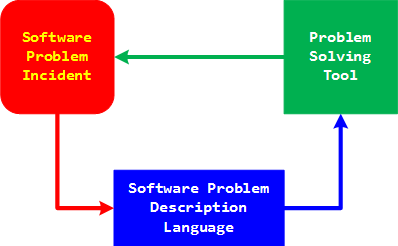 A software problem incident is described using software problem description language. Its program interpretation or compilation results in a published software problem solving tool. Tools can be reused, parameterized, aggregated and organized into hierarchical catalogs. Welcome to the TaaS of the future!